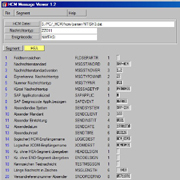 HCM Viewer is a viewer for the SAP IS-H message format. The viewer was developed in 1998/1999 at Charité and is still in development. The main handicap is that it can only open one file per session. After viewing one file, the program must be restarted. At this time only Microsoft Windows machines are supported. But I can give you the source code (tcl/tk) which runs on all major platforms. You only need the small executable and the message format files. 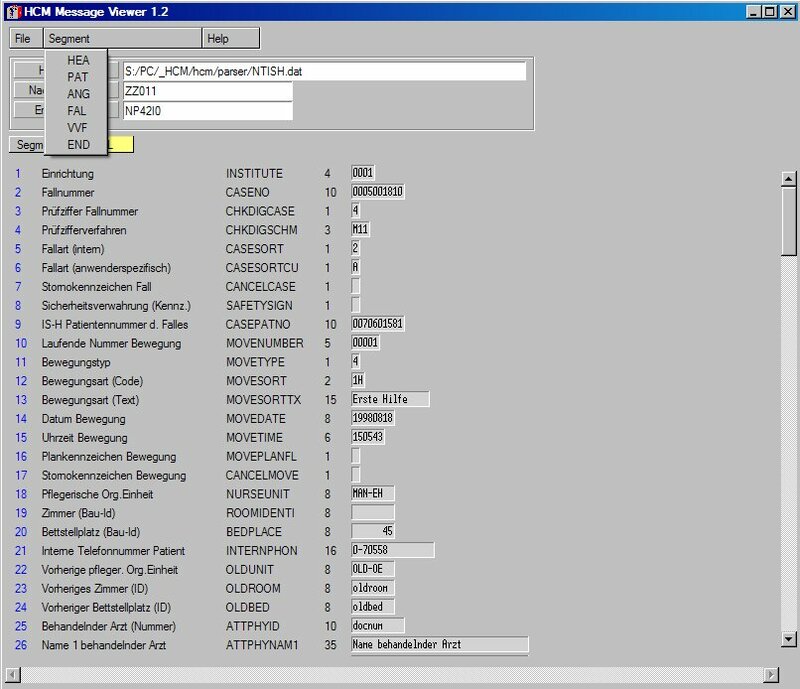 How do I use HCM Viewer? Unzip the package into a directory of your choice. 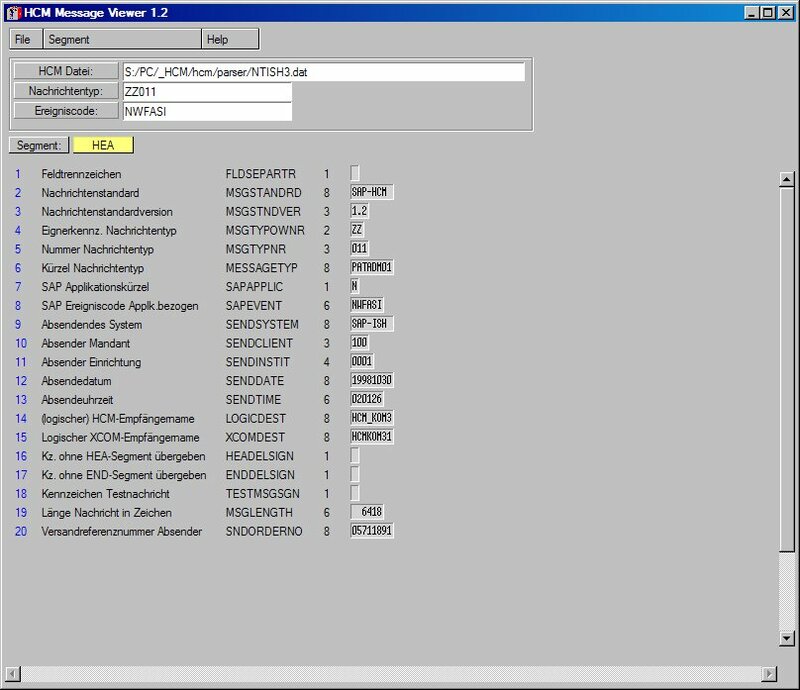 Start hcm.exe and open a HCM formatted file. You can use the demo message provided above. The HCM format is difficult to read and edit in a Hex editor or normal editor. Specifically if the content of one field deep in the structure quickly has to be checked. Hence the viewer was developed. Please click here for a free download of HCM Viewer.